In Buffy, Dawn Summers (portrayed by Michelle Trachtenberg) is the slayer’s younger sister who makes her first, surprise appearance at the end of the first episode of Season 5. For the first half of the season, all of the Scoobies act as though she had always existed without questioning anything strange. Dawn is a bratty, sometimes-annoying student in junior high. Soon, Buffy learns that Dawn is actually the Key — a mystical bunch of energy that a group of monks had put into human from to hide it from an evil hell-goddess named Glory. 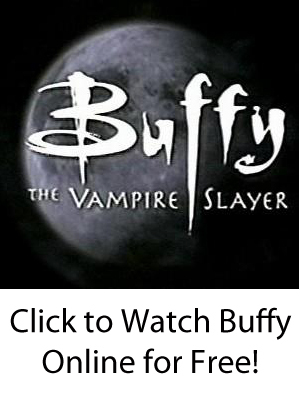 They knew that the slayer would protect the Key by transforming it into Buffy’s younger sister and changing everyone’s memories to make it seem as though she had always been there. Eventually, Glory discovers the location of the Key and kidnaps Dawn to perform a ritual that will open a portal to allow the hell-goddess to return to her dimension but destroy the world — and kill Dawn — in the process. Once Glory cuts Dawn and spills her blood, the key’s energy in the blood will open the portal. The Scoobies briefly consider whether to kill Dawn before the ritual begins to ensure the world’s survival, but Buffy vetoes the idea and says that she will kill anyone who tries to harm Dawn because she has still developed sisterly affection for her. In the finale of Season 5, Dawn is cut before Buffy can get to her in time. Dawn’s blood begins to fall, and the portal starts to open. Knowing that her and Dawn’s blood is the same, Buffy sacrifices her life to save both Dawn and the world. When Willow brings Buffy back to life in Season 6, the slayer is estranged from the world because she had been torn out of a place that had felt like heaven. The slayer is distant towards everyone and cold towards Dawn. The younger sister, still suffering from the trauma of knowing her true identity and losing her mother and then her sister, resorts to kleptomania to cope. By the end of Season 6, Buffy has recovered, and the two sisters re-establish their bond. In Season 7, Dawn becomes a freshman at the new Sunnydale High School. She starts to train first with Buffy and then partially with the potential slayers who arrive. Dawn also helps the Scoobies with research, calling herself “Watcher Junior” in the series finale. Dawn’s continues to grow and change in “Buffy Season 8” and “Buffy Season 9” — in many unexpected ways, of course. But we will not spoil the story here for people who have not read the comic books.